Over 50% of American doctors are burned out! These results not only have us worried about the well being of our doctors but also for our own health and safety as patients! A recent study released by the Mayo Clinic revealed that physicians experiencing burnout are twice as likely to make major medical errors, which leaves millions of patients vulnerable to the possibility of serious or fatal mistakes in their care. Medical errors are the third leading cause of death in the United States, taking over 250,000 lives every year. What’s disheartening is that medical errors are often preventable but completely out of the control of the people they affect the most- the patients. Patients going in for major surgery, minor procedures, or even just consultations can be severely impacted by the physician treating them, particularly if they are having a bad day on the job. Performing technical mistakes during procedures. Improperly dosing or prescribing medication. Ordering too many or too few lab tests. Causing further illness, infections or death due to errors. Medscape’s research showed doctors feeling depressed or burned out admitted their feelings affected how they related to their patients, causing them to become less friendly and less engaged. In addition, 15 percent of the doctors revealed their depression might cause them to make errors they didn’t normally make and 5 percent believed they could have made errors that harmed patients. Burned out doctors are also far more likely to leave their place of work abruptly, disrupting the continuity and quality of patient care. Unfortunately, these statistics don’t even begin to touch upon the number of medical errors truly made by the burnout epidemic because not all doctors or hospitals will report or admit these mistakes. So what is causing our doctors to become so burned out in the first place? We hear a lot about burnout in the workplace, particularly in fields such as healthcare which is constantly full of trauma, stress, and extended work hours. Burnout can easily be confused with general work stress but it poses far more severe consequences as a result. Doctors are amazing at what they do but they are only human. They can be overworked, overstressed, and stretched to the point of breaking down just like any other American worker. However, when a doctor is having a bad day or makes an error at work, it could cost someone their life, making the issue of physician burnout even more critical when it comes to finding a solution to prevent it. Preventing doctor burnout and addressing signs of depression is not the sole responsibility of the physician. Organizations and hospitals must step in and implement strategies to help reduce the alarming levels of burnout for the wellbeing of both their doctors and their patients. Flexible Schedules: Even though patients have needs 24/7, every doctor cannot be available all the time. The idea of flexible schedules would not only allow physicians time to adequately rest for their next shift but enough personal time to focus on their home life to reduce stressors of stretched time. There has been some controversy in the past about allowing more flex time for physicians, claiming part-time or inconsistent doctor schedules could hurt the quality of care given to patients. Yet, doctors working too many hours are also at risk of providing less quality care and make more dangerous mistakes. Employee Surveys: Surveys are an excellent tool for organizations to find out what is really going on with the staff. 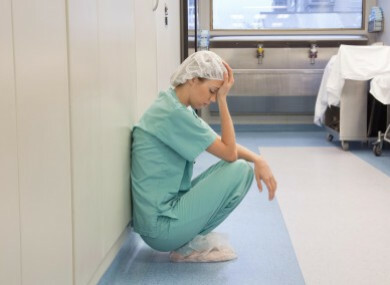 Becoming aware of problems in an organization before burnout occurs can help reduce the number of unhappy physicians leaving their jobs or making serious medical errors because they are not focused. Additional Time: Sometimes a little extra time is all a doctor needs with a patient to figure out the best approach to care. Implementing steps such as reducing patient numbers or hiring extra medical staff to tackle cases in a team approach can provide more availability for valuable face-to-face time with patients. EHR Entry: Data entry and computer errors are not tasks that physicians should be stressing about. When it comes to electronic records, medical assistants and data entry professionals can be used to handle the administrative part of the job, giving doctors more time for patient visits and procedures. Work-Life Balance: Organizations who work with their physicians in obtaining a positive work-life balance will have an overall healthier and happier staff. Monthly provider meetings can address issues or struggles that physicians have at work and highlight issues with balancing personal stressors. No one can sustain healthy personal or family relationships if they are always at work or thinking about work. Equally, no one can focus 100% on their job if they are thinking about the issues they don’t have time to address at home. Regardless of how or why physician burnout occurs, patients should not have to suffer the consequences. The healthcare system in Maryland and around the country can no longer ignore the existence of physician burnout. It is up to the doctors to constantly assess their own abilities to safely work with patients and take leave if they feel too stressed to continue. Additionally, organizations must learn to prioritize the well-being of their physicians to help promote quality patient care and reduce the possibility of serious and fatal medical errors. Maryland patients deserve the best care- not the best care available at the moment. If you or a loved one has suffered a severe illness or injury due medical negligence, D’Amore Law is here to fight for you. Our expert team of medical malpractice attorneys will provide a free case evaluation to establish a winning plan in seeking justice for your unnecessary medical injuries.